What does this book will help you overcome? If you are lucky enough you can get the book for free, we’ll pay for the book, and you just need to cover the shipping. The book is not just another book about real estate investing and it is not a get rich quick scheme book, nor it is about learning ever single creative real estate tactic under the sun, but whereas it is about culturing you about the most important skill to be a successful real estate investor. It is a proven success plan that our most successful students have followed to start their Multi-Million Dollar real estate empires. One of the biggest challenges that new investors’ face is getting their very first deal done. When it becomes intricate for them to pull it off and they quit too soon before they ever get their first deal done and that ends their dream of becoming a multi-millionaire real estate investor. The contents in the book will help you pull off the first deal successfully. 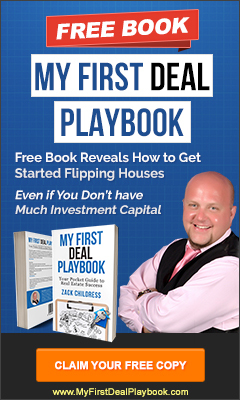 Before you can make millions in real estate, you need to get your 1st deal done and this book gives you the shortcut to get your first deal done in the shortest time possible. No matter how justifying we can be in making you read Zack Childress first deal playbook or to attend the workshops and seminars, there’s nothing that can best define us like the success stories of our students. Many of our students started out wanting to make money during their leisure time. Now many of them have turned into full-time professionals making more wealth, what was done during the pastime have turned around the clock. It is inspiring to see the results achieved by our students through our programs and to hear about the direct impact they make in others lives and in the communities. We are proud to share in the accomplishments of our students and to acknowledge their successes. 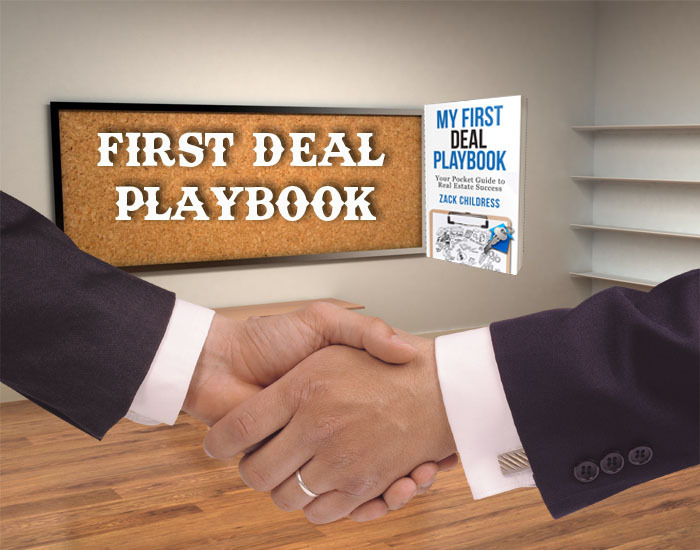 My first deal playbook has already helped countless people from all walks of life, so order yours today and get ready to shine in the world of real estate.